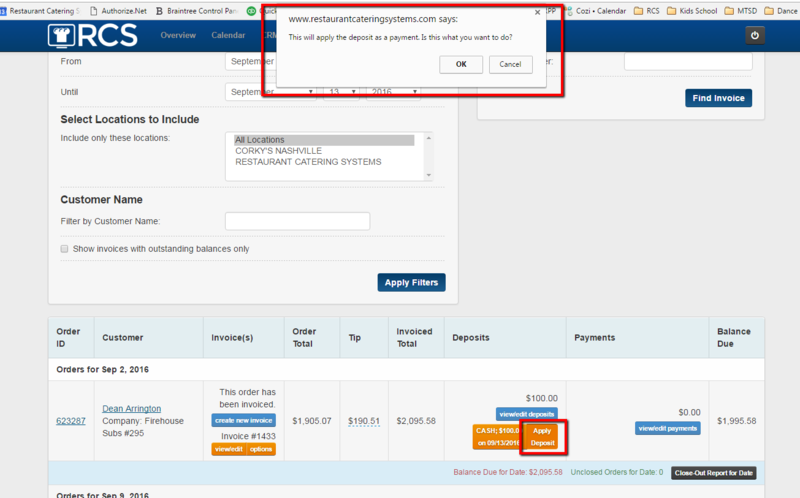 This article will go over how to apply a deposit to an order through the invoices link. This is the method that we here at CaterZen recommend you using when applying a deposit. 1 - Click on the Accounting tab and then click on the Invoices link. 2 - Look for the invoice and you will see that a deposit has been recorded. 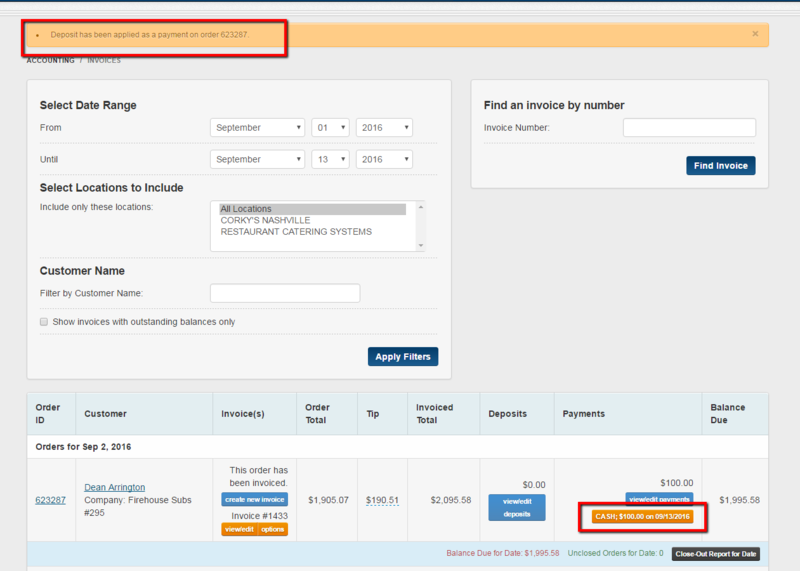 3 - When you are ready to apply the deposit as a payment for the order you will click on the Apply Deposit tab. A pop up screen will appear making sure this is what you intended to do. 4 - Next you will see a notice that the deposit has been applied as a payment. You have now applied a deposit as a payment to an order by using the invoice tab.